of your life at work among us. now and for all time. Welcome to Our Parishes. 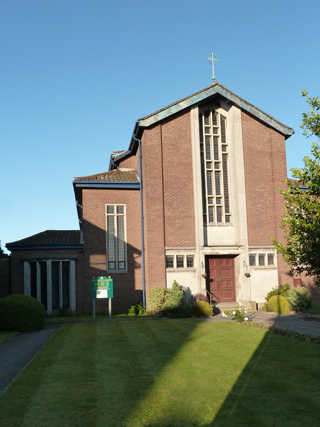 We are a parish community of churches based in Sale and Partington in the North West of the UK. Our churches are All Saints in Sale and Our Lady of Lourdes in Partington. We are part of the Catholic church in the Diocese of Shrewsbury. Our churches have regular services and visitors and new members are always made warmly welcome. Through this web site we hope you will find all the information you will need to attend a service, visit our church, make arrangements for a baptism, wedding, funeral or find out about special events. If you need further information please contact us.